A placement for CICE graduate Anthony (A.J.) Tamming has led to an employment opportunity with Descendants Beer & Beverage Co., a Kitchener-based craft brewery. Descendants Beer & Beverage Co. co-owner Lee Brooks is dedicated to creating an inclusive workplace. The brewery supports Conestoga's CICE students and has hired CICE graduate Anthony Tamming for a paid position. Tamming was among the first cohort in Conestoga’s two-year CICE program. Designed to provide individuals with exceptionalities and other significant learning challenges an opportunity to experience college life and enhance their academic and vocational skills, the program supports students to be more independent members of the community with the goal of transitioning to volunteer or paid employment. 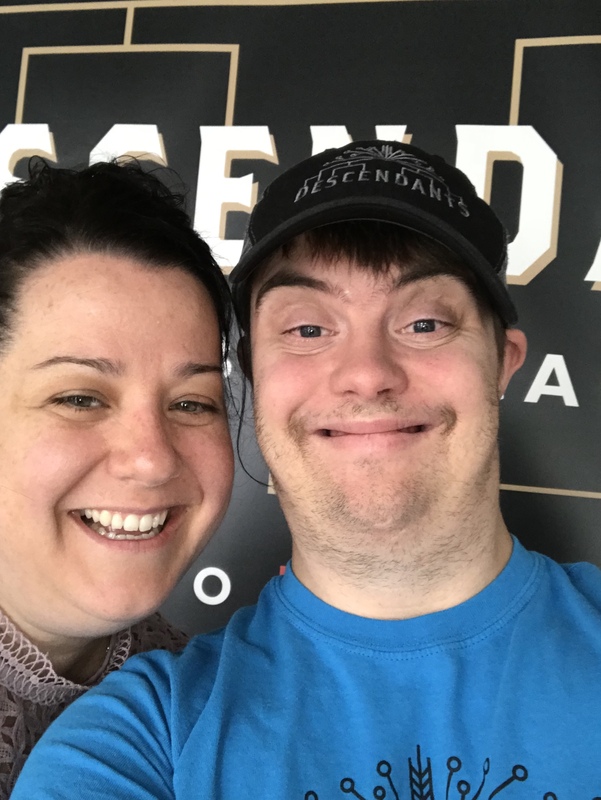 Lee Brooks, community manager and co-owner at Descendants, worked as a special education teacher for years before partnering with her husband Robin to establish and manage the brewery. Brooks worked with Conestoga’s CICE program as a learning strategist when the program first launched in 2015. That’s where she first met Tamming. Descendants opened its doors on Victoria Street North in April 2016 and Tamming began his co-op placement there in September, just months later. Brooks said she’d encourage other employers to remember that there is no risk to providing a CICE student with a co-op placement. In addition to Tamming, the brewery has had two other co-op students from the CICE program. The CICE program includes a number of core courses common to all CICE students including human relations and communications, job skills, life skills, computer skills and health and wellness. Other courses are drawn from diploma programs in Community Services, Business, Media and Design and Health Sciences that reflect student interests and have been intentionally modified to suit the unique learning needs of each CICE student. These modified courses allow the students to develop vocational skills associated with their elected area of interest. Tamming said everyone he works with is really nice and enjoys his job and his workplace, but he does have his eyes set on other goals -- he thinks he may return to school at some point to study sound engineering. Visit the CICE program page to learn more.